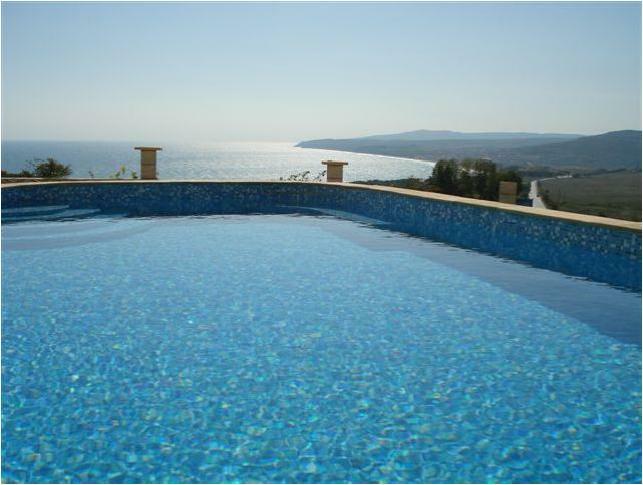 Villa Langley is extremely well located for all kinds of holiday activity, be it beach, shopping or sightseeing. There is a new huge stone paved sunbathing area round the villa and the rest of the garden is being landscaped with lawned areas, grape vines and fruit trees. This luxury rental villa is brand new, having been built and furnished ready for the 2007 season, and is constructed from attractive solid stone to keep it cool during the hot summer months. 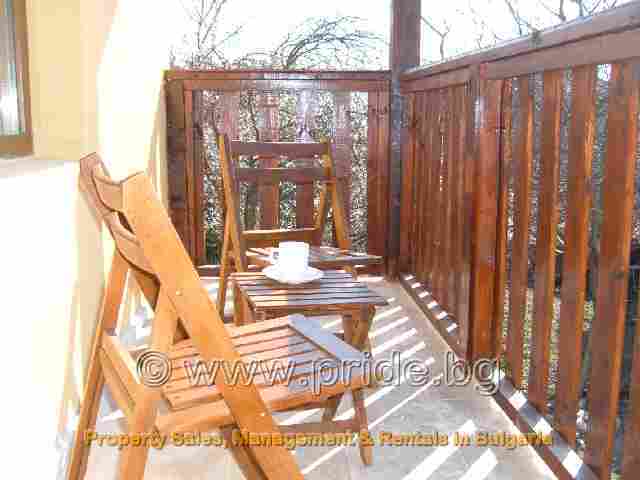 The owners have spared no expense to complete this Bulgarian rental villa with high-quality furnishings and appliances, including dishwasher and washing machine, satellite TV with DVD player, and feature fireplace which can be lit to heat the radiators in the upstairs rooms if required. For the downstairs rooms in the remarkable rental property you have the luxury of under floor heating. 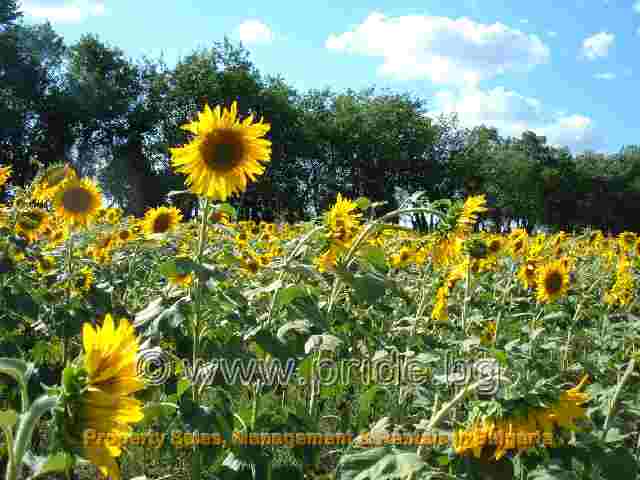 The house is located in Manastir village, which is just 28 miles from Varna (a short drive via dual carriageway) with it’s busy shopping and nightlife, and less than 5 miles from the attractive provincial town of Provadiya. The area is characterized by rolling hills with rocky outcrops, many with open caves, and all offering outstanding views. Setting off from the villa there are interesting walks in almost every direction. Manastir village has a small museum with Ethnographic collections. The local authorities have established a tourist route from Provadia town back to Manastir village to highlight some important local historical and natural sights. For those of you who enjoy a little fishing now and then there is a fishing lake close to this extraordinary rental villa. The villa itself is built over two levels. On the ground floor is a modern, well-equipped kitchen which leads out to an outdoor seating area with stone barbeque. The living room has two leather sofas and an armchair, and both sofas can be converted to beds if you need them. The TV has satellite TV with a range of channels in English, and a DVD player if you need to keep the kids entertained. There are bathrooms on both the ground and first floors, both with showers. Upstairs you can find three large bedrooms. The children’s room has bunk beds, and the two other rooms are a double and a twin. There is plenty of storage space in every room. 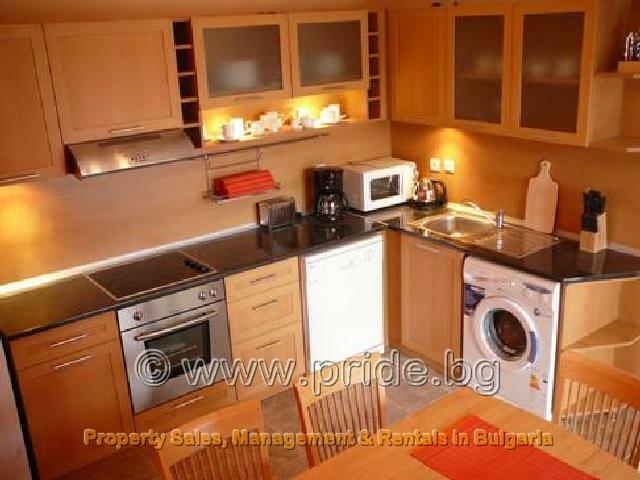 Should you wish to rent a car during your holiday in Bulgaria, you might like to know that this property also offers a garage, with an electronic door no less. 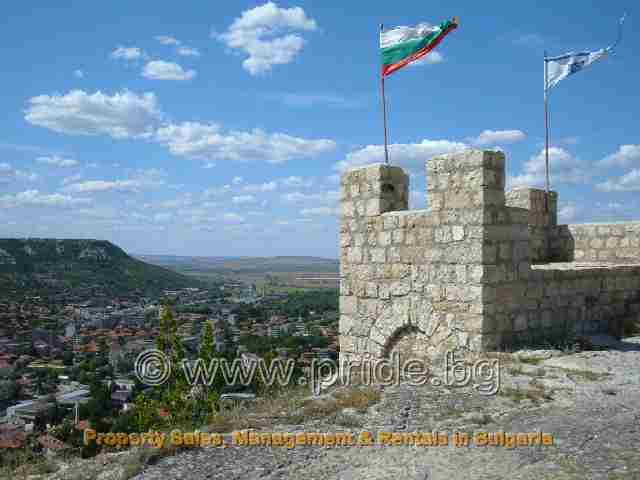 Provadiya has over 15 centuries of history to offer you, and the dominant feature of the town is the Ovech fortress which sits atop the flat rock of the plateau on the east side of the town. The fortress has the preserved remains of a metropolitan church, a unique bridge structure between two parts of the plateau, 30 cave tombs, 79-meters deep well dug into the rock, caves and technical facilities. It is fascinating to see how the original fortress functioned and to see the jail cells hollowed into the sheer rock face, where you can still see signs of the prisoner’s graffiti. 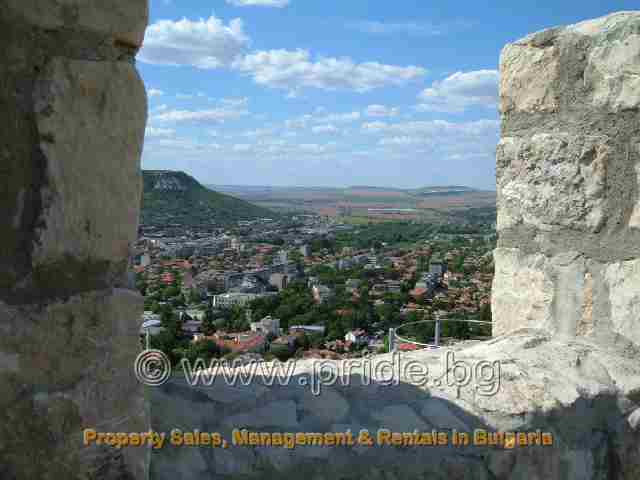 Provadiya town centre offers a number of supermarkets, cafes and good restaurants, and is well known in Bulgaria for having retained much of its original renaissance architecture. You can also reach the beach resorts of St. Constantine or Golden Sands in around 30 minutes by car. If you do not wish to hire a car it is possible to hire English-speaking taxi drivers (phone numbers are at the villa) or make use of the local bus service. Do Remember with Pride Rentals, we offer all our rental villas and rental apartments, free advance bookings, Airport transfers, Guest registration, local information brochure and 24 hour emergency assistance.